Here’s our fantasy premier league defender tips GW34 article where we give our defender and GK player rankings for gameweek 34. There’s a table of information and player suggestions to help you make a transfer choice. There’s player transfer suggestions at the end if you want to skip all the preamble. I’ve firstly ordered the teams by what I think is their defensive strength based their goals, clean sheets, recent form and xG/shots conceded. 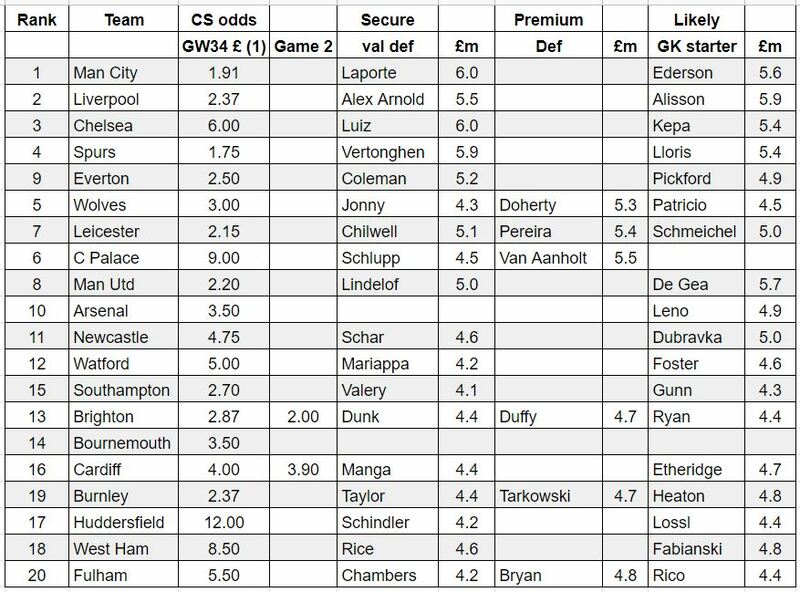 bookies odds for a clean sheet for GW34. Those players with a double gameweek have odds for both games. The lower the better obviously. The teams are ranked by defensive strength. 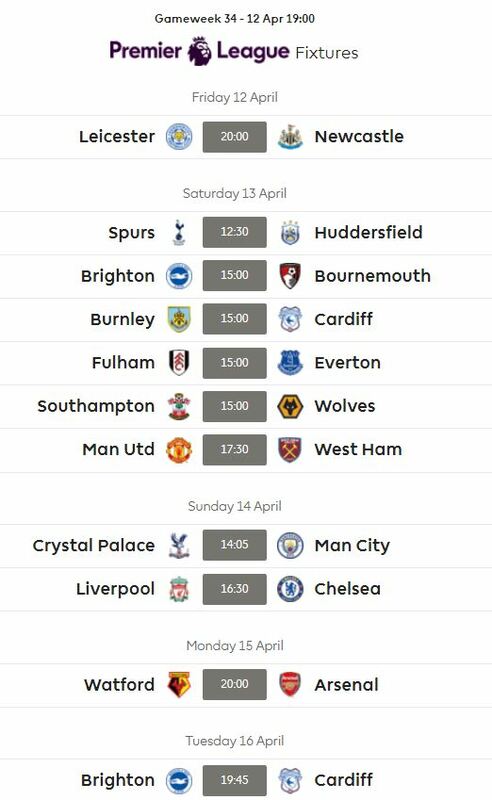 Fixtures are not factored in. With Shaw suspended for 2 matches and Dalot not sure of a place after Young returns from suspension then £5.0m Lindelof is my favoured. Emery just makes my head hurt. GK Leno is the only player you’d think will play both games. £4.1m RB Valery for value and attacking potential for me here. Dunk and GK Ryan at £4.4m for value. £4.7m Duffy for attacking potential. £4.4m Manga for attacking potential and value. GK Etheridge for save points although he isn’t cheap comparatively.